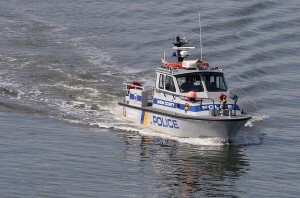 The Union County Police Department Marine Unit is a full time, emergency response, law enforcement agency that covers the waterways of the Port of NY/NJ. The Marine Unit dock and base station are located on the Arthur Kill waterway. Primary jurisdiction of this Unit covers all waterways of Union County, which include, Arthur Kill, Elizabeth River, Rahway River, Newark Bay, Port Elizabeth and all lakes and rivers throughout the County. This unit provides full time regular law enforcement patrol, emergency response (including Fire/rescue/CBRNE), and buffer zone protection at major petroleum facilities, public utilities, bridges, pipelines, and other regulated facilities operating in Union County and the Port of New York/New Jersey. The Port of New York/New Jersey is the hub of an intermodal connector network that connects the marine terminals, via road and rail, to key markets throughout the United States and Canada. It is the third largest container port in the United States, the largest on the East Coast, and 19th largest port in the world, and its six container terminals handle approximately 12% of the nation’s cargo volume, 59% of the North Atlantic market share, which is valued at over $166 billion. It is also the largest refined petroleum port with over 140 ship and barge movements a day. The County Marine Unit provides and important additional layer of security at the Ports critical infrastructure. Routine patrol, as well as emergency response, is coordinated through the US Coast Guard, Sector New York command. Special operations, as well as joint patrol/enforcement are conducted throughout the Port in cooperation with other Law Enforcement Port partners such as US Coast Guard, US Customs and Border Patrol, New Jersey State Police Marine Bureau, NYPD Harbor Unit, and Port Authority PD.